When you keep in mind that door fittings are an essential part of our interior, your door handle becomes a masterpiece of art. 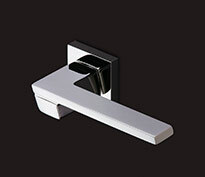 That is why top designers design the door fittings and furniture fittings of Mandelli. Get a piece of Italian perfection into your home with this amazing assortment. The Italian brand Mandelli is proudly carrying their logo ‘100% made in Italy’. It means that every phase of the production process is executed in Italy. From design to production and packaging: the Italians take care of it all. That’s a real Italian job! Mandelli has exclusive building hardware like door handles, door stops, high-quality security fittings, pull handles, window fittings, doorknobs, accessories, furniture fittings and way more. Mandelli’s safety plates and safety roses meet the strict quality standards of the Dutch inspection institute SKG***. This means that they provide burglary protection for at least five minutes. If desired, you can combine these safety products with the safety plates and safety roses of GPF building hardware. Mandelli discerns itself using a brass alloy that is 60% copper and 40% zinc. This material is the base for every product of Mandelli. There is a wide range in finished, like unpainted, polished or satin brass, (satin) chrome, PVD (satin) titanium, antique chrome, antique bronze and (satin) bronze. 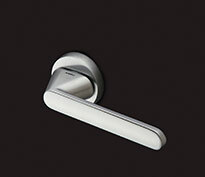 Besides, Mandelli uses unique materials for its end result: from leather to marble, and even door handles of concrete! The products in the finishes brass, bronze, satin bronze and antique bronze are standard equipped with a revolutionary flux coating. The natural finish gives antique bronze its exceptional character. Especially for Ten Hulscher, the line unpainted tumbled brass is developed. A fantastic finish with a lived-through character.